Depending on where you live, you may or may not have a homeschool convention coming up soon in your area. There are many wonderful homeschool conventions which will take place over the course of the coming months. Some of you may never have attended a homeschool convention and aren’t sure it would be worth your time. Whether you’ve attended a convention in the past or not, I encourage you to try attending one this year. 1. 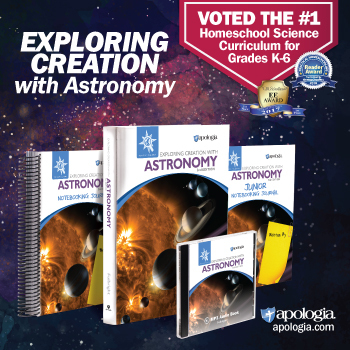 It’s Refreshing – It’s extremely refreshing to be somewhere with hundreds or even thousands of other homeschoolers. Let’s face it, in most areas of life we are viewed as being a little bit different. Even some in our extended families and our church families tend to think we’re a bit nutty. Although homeschooling is becoming more popular every year, we’re still viewed by many as being a little bit odd. At a homeschool convention, you will be surrounded by other homeschoolers. You will feel yourself breathe easily as you can be yourself and not have to be ready for attacks from well-meaning but misunderstanding people who have a tendency to question our methods or our motives. 2. It’s Informative – You will glean some new tips. Homeschool conventions offer a variety of workshops taught by some amazing people in the homeschool community. Depending on the size of the convention you attend, you could be taught by national leaders, parents who have homeschooled for 20 years or more, and experts in their field. Be sure to bring a notebook and pen so you can write down and remember some of this valuable advice. It’s such a blessing to be able to learn from people who have gone before us. 3. It’s Social – Your kids get to meet other homeschooled kids. Many homeschool conventions have a teen option or a children’s convention that meet at the same time. These opportunities allow your children to make more friends their age in the homeschool community. It’s always a highlight of my boys’ year when they attend a children’s convention. They usually come home with new pen pals every year. 4. It’s Special – Spend some special time with your spouse. If you attend with your spouse, homeschool conventions are a great way for you to get back on the same page concerning your children’s education. Even if you attend separate workshops, you will be listening to keynote speakers together. It’s a great way to get your priorities straight as a couple, to decide what is working with your homeschool, and determine what might need to be changed. 5. It’s Thrifty – Shop for curriculum. Usually, homeschool conventions have vendors who come and advertise their wares. This is a great way to get a good look at something before you buy it. These vendor sales usually have special convention prices as well, so you can save a few bucks. And sometimes there is the opportunity to buy used curriculum, which saves you even more money! 6. It’s Essential – Stand up and be counted. The more homeschoolers who attend the conventions, the more our politicians notice. Homeschooling has come so far in the courts and in the eyes of our fellow citizens. We don’t want to lose ground and go back to the days when we didn’t have the right to educate our own children. Some homeschoolers outside of America have to deal with persecution even now. Head to at least one homeschool convention in your area and lend strength to the homeschool movement. 7. It’s Critical – Learn about important issues. If there is important legislation coming up for a vote in your area, you will learn about it at a homeschool convention. You will be told if you need to contact your congressman about a specific issue. You will be informed about any other grassroots actions which may be beneficial for that situation. This is a good way to stay informed about news which is important to homeschoolers. It has become a priority for our family to attend two or three of the homeschool conventions in our area each year. If you already make it a point to attend conferences in your area, that’s great! If you’ve never been to one before, I strongly encourage you to give one a try this year, if at all possible. I truly believe you’ll be glad you did! Like these reasons? Please pin this for later! Question: Have you attended any homeschool conventions? Which ones would you recommend? Are there any other benefits that you have experienced? Please leave a comment below. We have a great conference located at Marian University on May 19, 2018. speakers, vendor hall, use book sale, etc. We would love to spread the word! Do you have a website or an image that I could share with my readers?